Movies are a big thing in our city. We have our multiplexes and big cinema chains, same as everywhere, but also; one of the few art deco cinema's (The Astor) in Australia left in their original form, Australia's oldest and largest film festival (The Melbourne International Film Festival) and the incomparable Australian Centre for the Moving Image (ACMI), which provides a public forum for many movies that would otherwise get lost in the commercial shuffle. 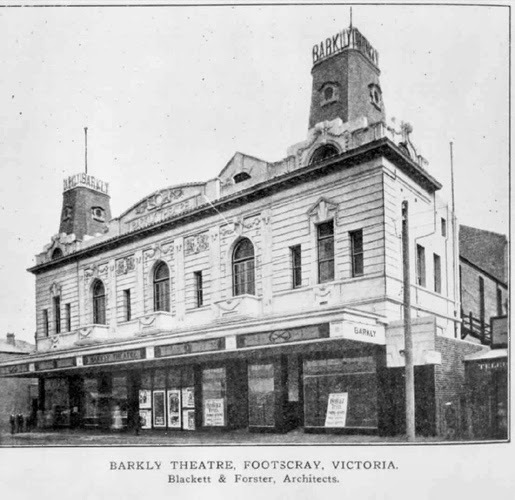 The cinematic tradition in Melbourne runs deep; the first public movie screenings in Australia were held here, when the technology was still so new it was considered an optical illusion and demonstrated as part of a stage magician's act. And after this dramatic debut the movies took hold rapidly. Within a year there were three dedicated cinemas in the city and within two years, countless others. A lasting impact of Melbourne's love affair with the movies can be found right across the urban landscape. A large number of our old cinema's remain in place, decorating their suburbs with their still grand facades, although the vast majority were put to other use some time ago. The following is a brief tour of a few of these. Built in 1921 and refurbished in art deco style in 1935, The National showed general release movies until the late 1950's. 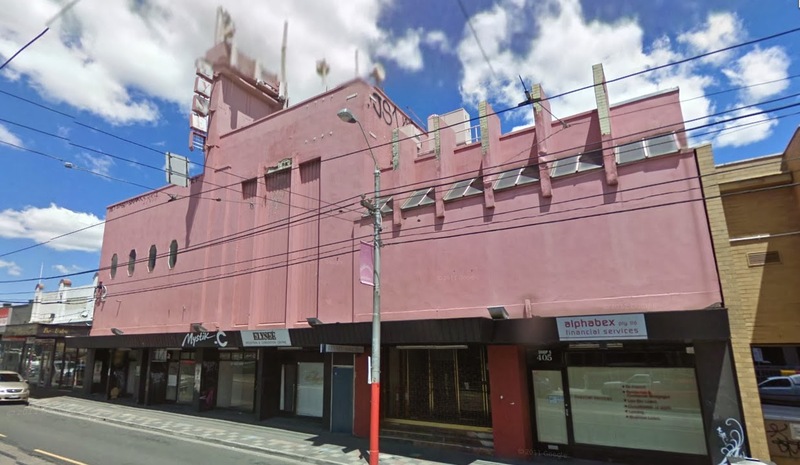 It was then bought by the Cosmopolitan Motion Picture Group, who ran a successful chain of cinemas that showed Greek movies to Melbourne's vast Greek ex-pat population. The cinema continued in this fashion until 1985, when the interior was destroyed by a fire. In the 1990's the property was sold and converted into fashion shops, in which guise it continues to this day. 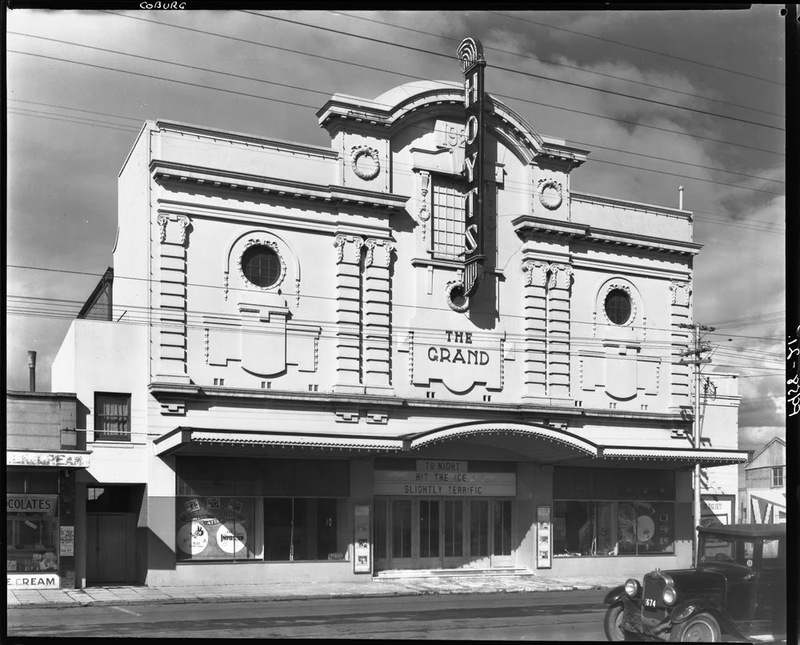 Opened in 1919 adjacent to the Richmond Town Hall (the clock tower of which can be glimpsed in the first photo, above), this cinema had an enormous, 2500 seat capacity. It was originally known as The All British Cinema, before being taken over by Hoyts. The cinema closed in 1960 and the site was redeveloped into a retail premise. 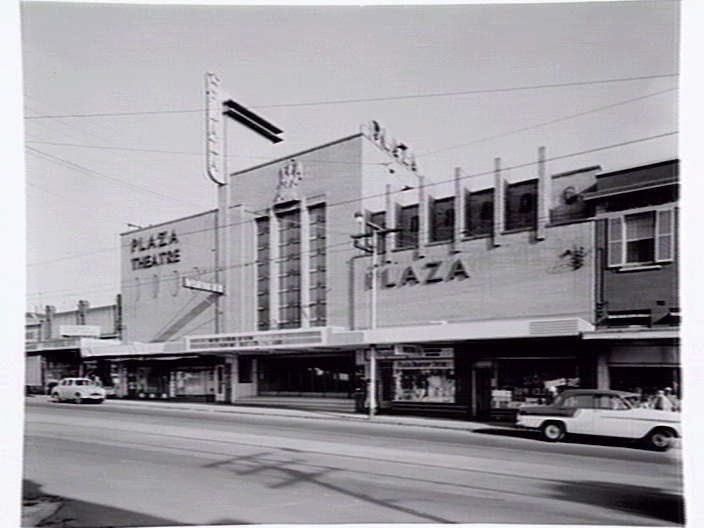 Opening in 1934 at the height of the depression, the 1100 seat Plaza showed first run British and American films but struggled financially almost from the outset. In 1941 it was converted into a live venue, featuring caberet and vaudeville acts, before movies were reinstated after the Second World War. Different ownership continued in this vain over the next few decades, alternating between movies and live entertainment (in 1960 it spent one year showing only Italian language films). In 1986 it was sold again and converted into a reception centre, The Elysee Centre, although the building has subsequently fallen into disuse. It currently stands vacant. 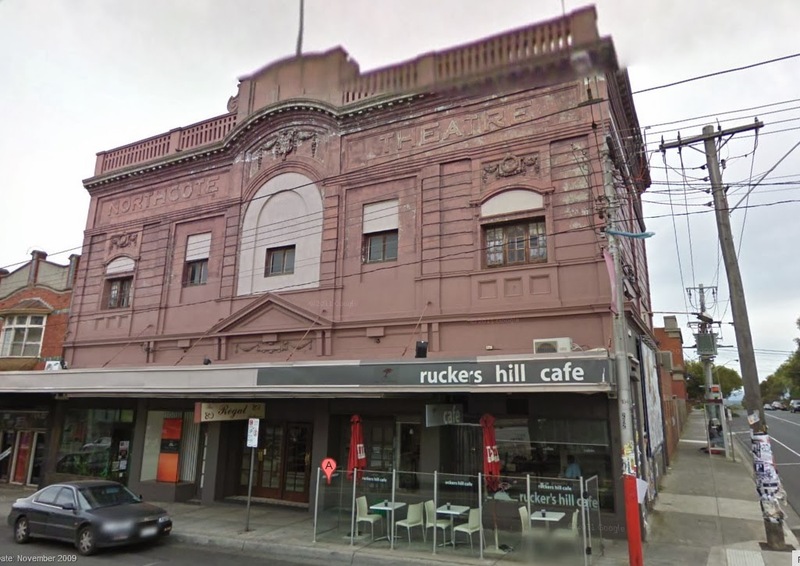 Built in 1912, The Northcote Theatre is almost certainly the oldest cinema building in Melbourne. Like many silent era cinemas, it was initially used for live shows as well as movie projection. 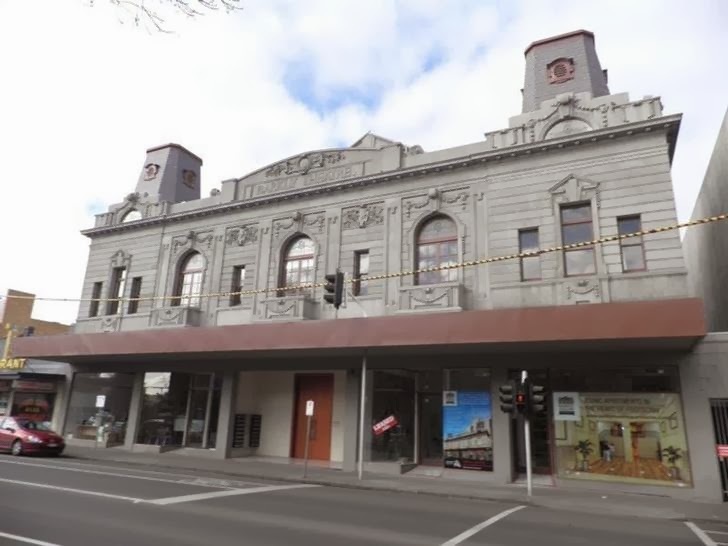 When the original owner of the building, Robert McLeish, joined Hoyts as Victorian Executive Chairman, the Northcote was added to their stable. In 1952 the cinema was used as the setting for the local musical comedy Night Club. The cinema closed in 1960 and the building is now used as a reception centre. Built in 1922 with a capacity of 1300, The Grand featured an elaborately decorated facade and lobby. Once one of the northern suburbs principle cinemas, in the decades after World War 2 it gradually became neglected and run down. When it closed in 1964, and was converted into a restaurant, its decorative features were covered over with sheet metal, giving the building a much more functional look. It is used as a social club today. 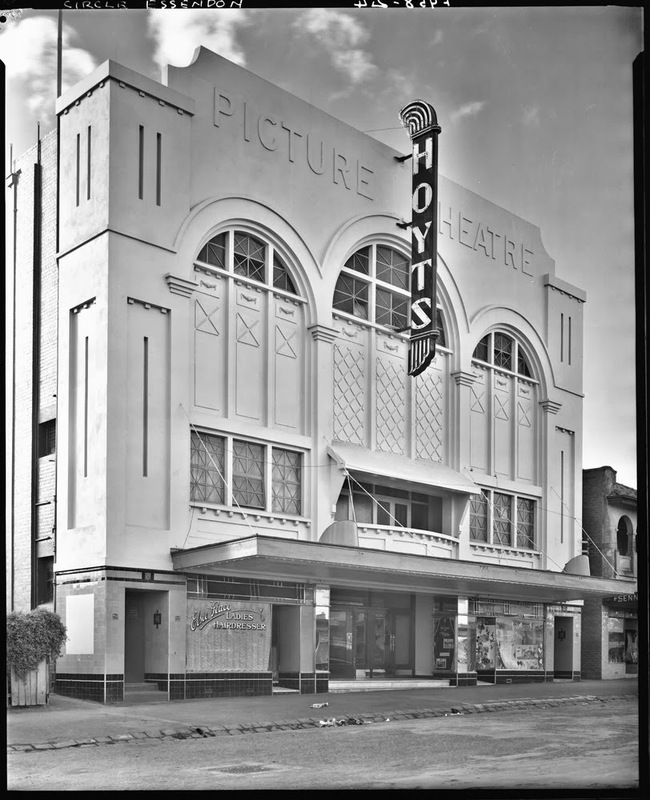 Built in 1924 and originally named The New Essendon Picture Theatre, this cinema was re-named when taken over by the Hoyts chain in the 1930's. The cinema closed in 1967 and has operated as an independent function centre and ballroom since. Opening in 1923, Thornbury's Regent had one of the grandest entrance halls ever attached to a Melbourne cinema; featuring a domed lobby, marble staircase and glass chandeliers. All of these features still adorn the site today. Since the cinema closed in 1965, the renamed Thornbury Theatre has served as an upmarket space for hire and is often used for live music. 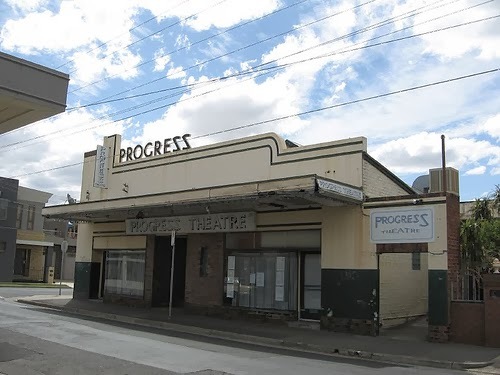 Tucked away on a side street in suburban Coburg, the tiny Progress (capacity 300-450) lived in the shadow of larger cinemas on the main streets nearby, and yet outlasted all of them. Opening in 1923, it showcased minor releases, B-pictures and re-runs but proved remarkably resilient, continuing to operate until 1998. 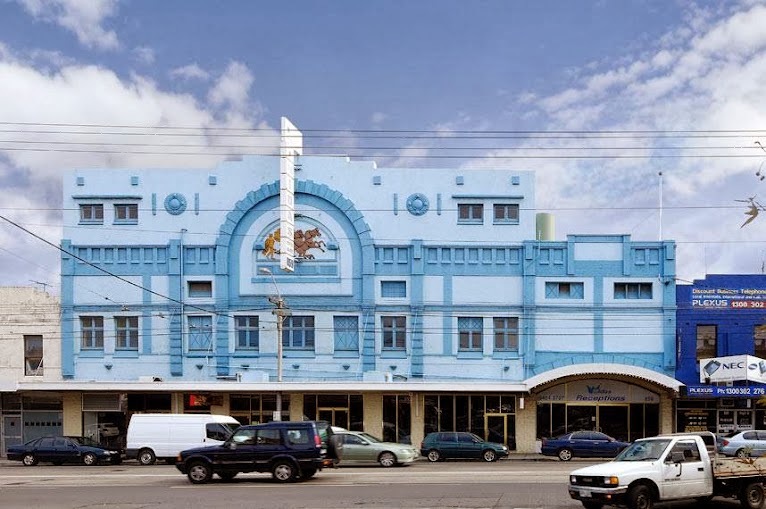 It also featured in the cult local comedy Death in Brunswick (from which the first picture above is taken) and even as the Mt Thomas cinema in an episode of Blue Healers. It is currently used as a dance studio. 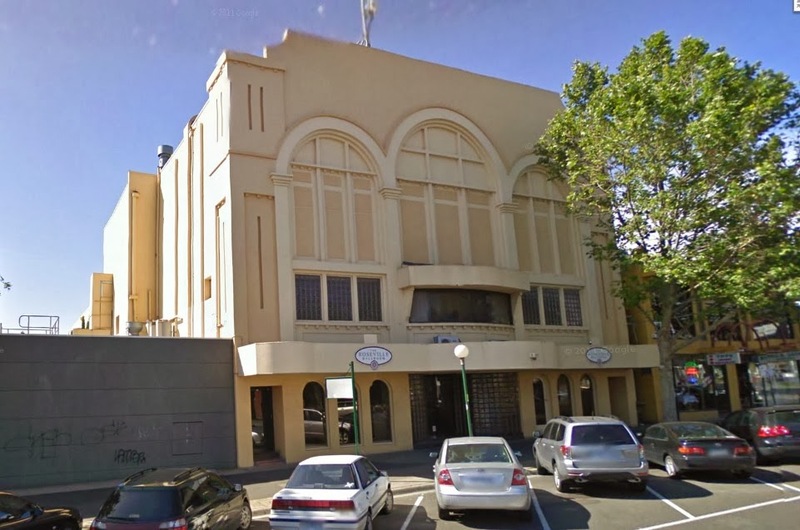 Built in 1914 and adorned with an elaborate, baroque facade, the remarkable Barkly Theatre has enjoyed a dramatic double reversal of fortune in recent years. The cinema closed in 1961 and the building was used for a variety of purposes thereafter. Standing vacant from 1989, the theatre soon fell into disrepair, disuse compounded by both fire and storm damage. In the 1990's the vandalised, hulking wreck gained a new reputation, as one of Melbourne's most notorious drug dens. 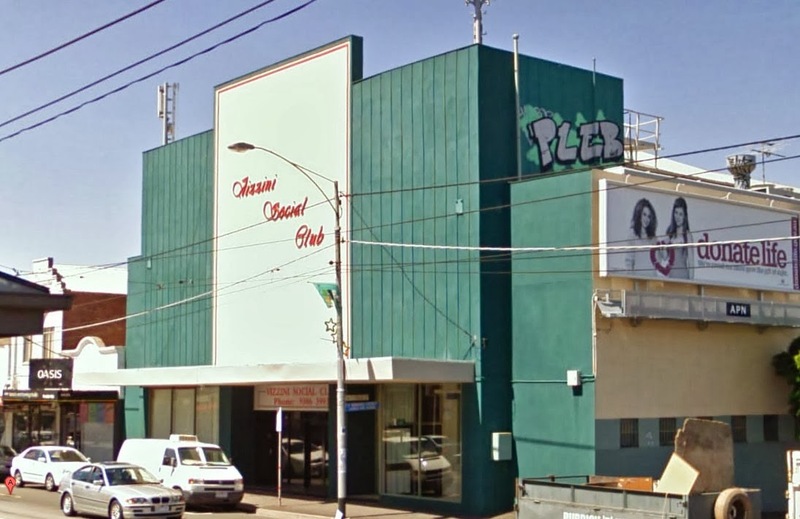 In 2000, former Footscray footballer Chris Grant (and his business partner) bought the building with a view to refurbishing it as apartments. 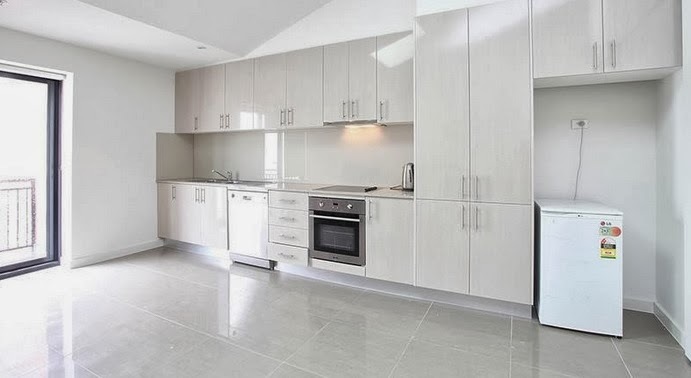 The project took nearly a decade to realise, and the property changed hands several more times while it was ongoing, but the work was eventually completed in 2008. The exterior of the theatre has been fully restored, while the interior has been sub-divided into 60 up market apartments (see photo, above). 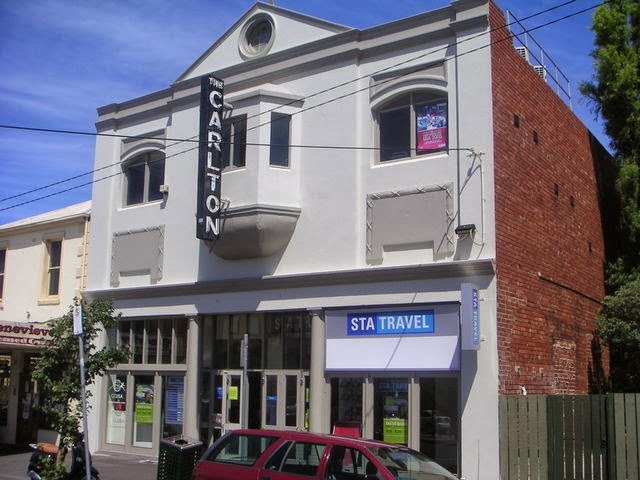 Built in 1909 and originally used as a meeting hall for a trade association, this building was converted to a cinema and re-named the Carlton Picture Palace in 1924. It operated as an independent cinema, showing arthouse and foreign titles. 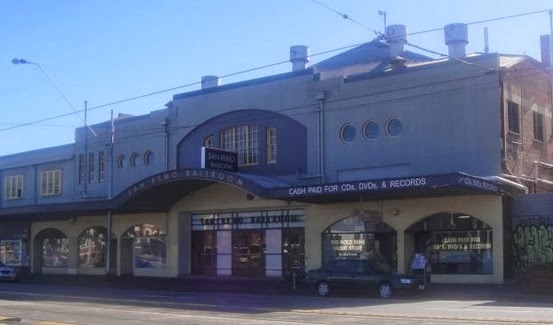 In 1979 it was renovated and re-badged the Carlton Moviehouse, from this time it also included regular live music as part of its program. The cinema closed in 1999 and the building was turned into corporate offices. Opening in 1912 as the Jubilee Picture Palace, this cinema was enlarged (to 1900 seats) and renamed The Adelphi in 1922. 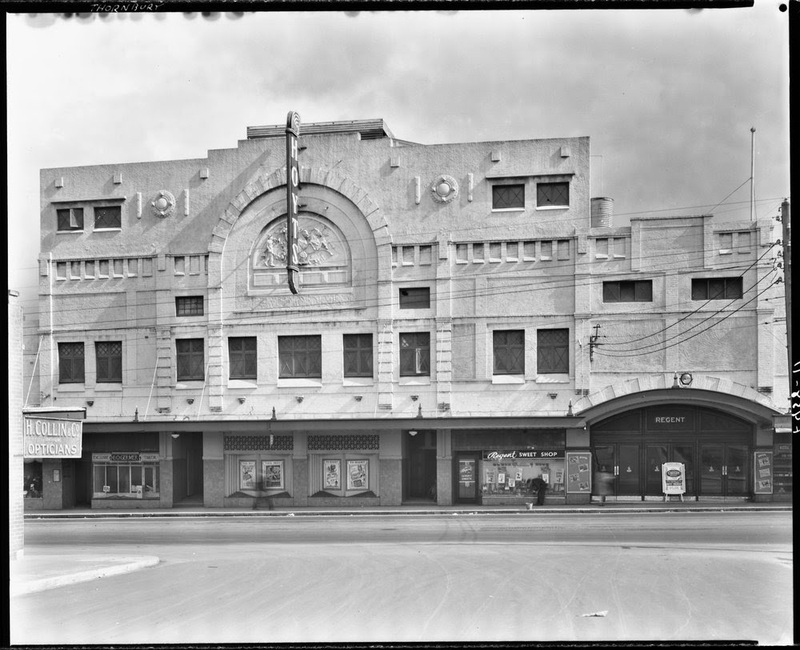 Operating independently, it was the largest cinema in the inner northern suburbs until its closure in 1967. Since this date it has operated as the San Remo Ballroom. Opening in 1919, The Broadway was the first cinema in Eltham, in the city's north east. 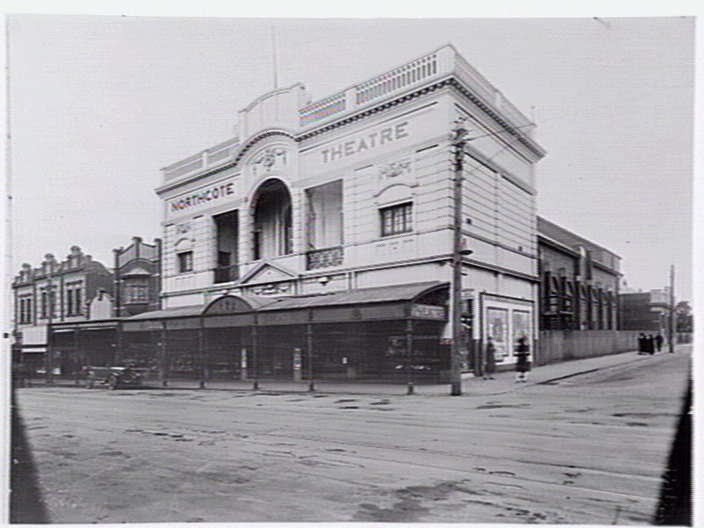 It was built for the Westgarth chain and then taken over by Consolidated Theatres, a large chain that operated cinemas across the city. The cinema closed in 1961 and was converted into a combined ballroom and function centre. In 1995 the building was further redeveloped into apartments. 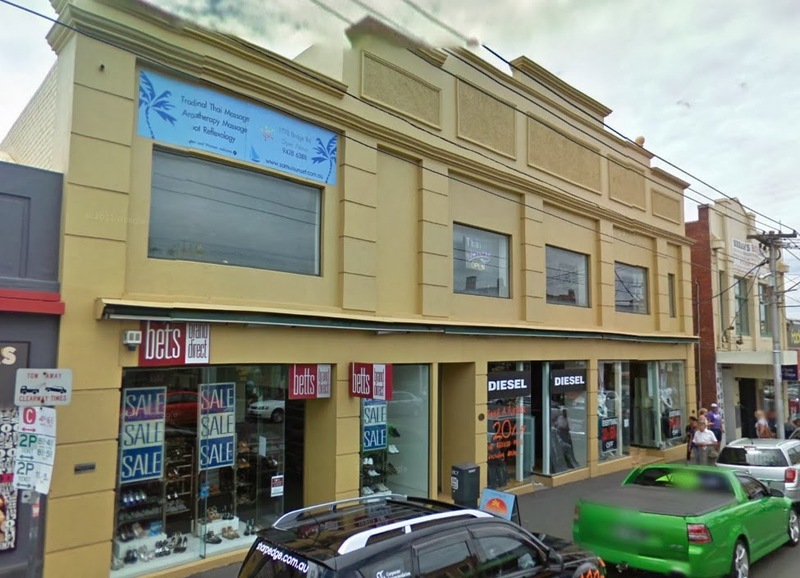 Also have a look at the one on Ormond street, Elwood (now a mechanic's and apartments I think). One just near Camberwell station, now an antique shop. 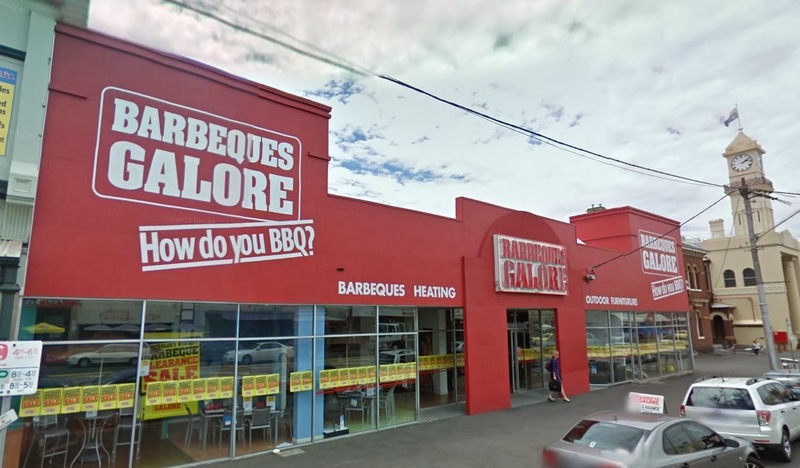 There also used to be one on Centre road, Bentleigh, near where I grew up. It was demolished in the late 1980s I think. Nice one! Thanks for the info. I'll do a little research on these and make an update. Yes I concur. It is the Old Elwood cinema. It's only about 2 Klms from my apartment. There are now apartments above it and under it is the car park. 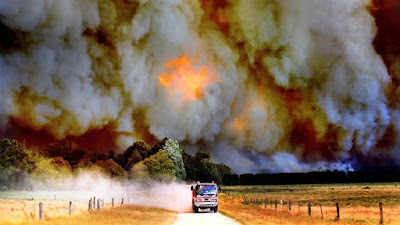 Great article and pics. The Essendon Circle Theatre is now apartments. The old facade has been retained.